The GRDC now have 36 weed management videos on YouTube http://www.grdc.com.au/IWM-videos starting with the importance of weed seed capture at harvest and working through to use of double knock techniques to control hard-to-kill weeds. The final five videos are clear explanations by Bill Gordon, spray application consultant, on how to make sure the herbicide gets to the target with sufficient coverage to maximise weed control and not waste your money. First paraquat resistant annual ryegrass for Western Australia? A Great Southern (WA) vigneron, who was worried about his under-vine weed control, contacted me in early September. Sally Peltzer, DAFWA, and I paid him a visit to discuss the potential problem and to collect samples for testing. 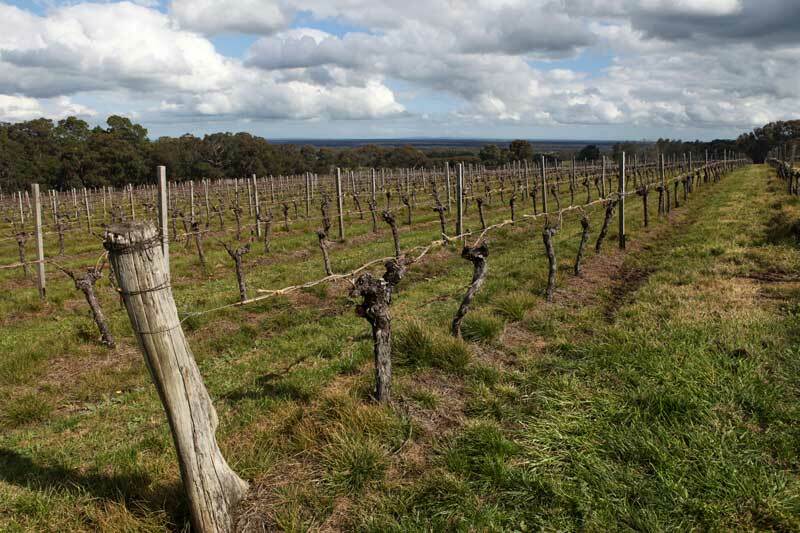 For the past 20 years the vigneron had regularly used paraquat (L) under the vines rotated with glyphosate (M) and the occasional Basta® (N) application. As can be seen in the image the paraquat applied two weeks earlier has had little effect on the annual ryegrass. Live samples were sent to Plant Science Consulting in South Australia to conduct Quicktests® to determine herbicide resistance status before the grass had set seed. The results are back and yes the annual ryegrass is resistant to paraquat with a low level of glyphosate resistance in some plants. Seed will be harvested from test survivors for more detailed testing in 2014. I am now discussing best management strategies now and the future with the vigneron. This highlights the fact that rotating herbicide modes-of-action delays resistance and doesn’t prevent it. To prevent/manage herbicide resistance multiple tactics must be used in the ONE season to PREVENT SEED SET of any survivors. Those vineyard managers and broadacre farmers rotating modes-of-action need to have a rethink of their weed management strategies.